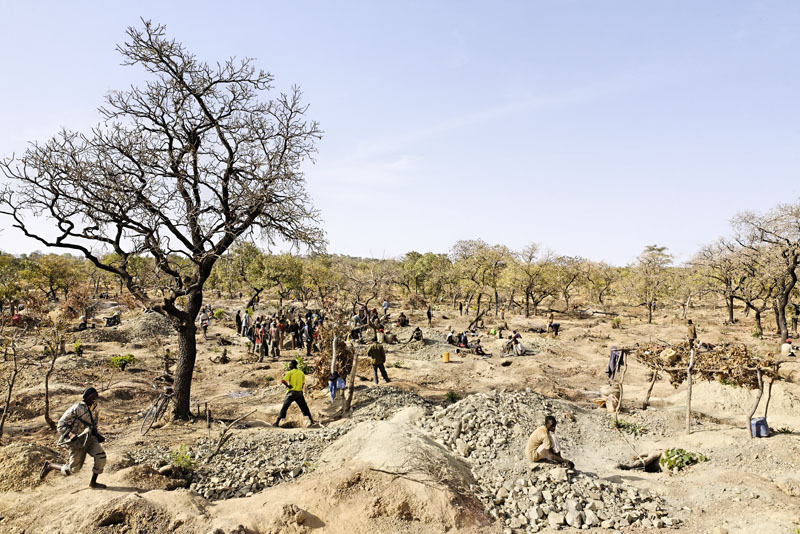 IPRAM, an association for the development of a responsible African artisanal mining. An initiative for rural communities in areas of artisanal mining extractions. IPRAM acts on 2 levels, directly from artisans in Africa and in Europe by encouraging all players in the industry to be more transparent. THE PROJECT: It is consisting in the creation of an ethics gold spinneret to establish traceability of the gold produced in Africa. This sector will be made from traditional artisanal gold exploitation while promoting food crops in a mining region potentially rich in agriculture. IPRAM CENTER, a local office whose goal is to meet the needs of artisanal miners by providing technical training information but also helping them to have fair trade partnerships. Its mission will be achieved in particular through awareness campaigns on two major themes of responsible artisanal mining: LEGALIZATION (to work in any law the craftsman must comply with the legislation in force) and THE ENVIRONMENTAL PROTECTION (protecting environment is to protect the men, women and children, including facing the problems of poisoning related to the use of MERCURY in gold mining). By giving YOUR SUPPORT to the IPRAM's association you work to improve the lives of artisans while giving back to your purchases a more HUMAN ethical and more RESPONSIBLE sense. A project made good progress in the Congo Basin, Republic of Central Africa. Projects in Mali and Senegal are currently under consideration. All helping to develop sustainable economic activity, JOIN THE ASSOCIATION IPRAM. 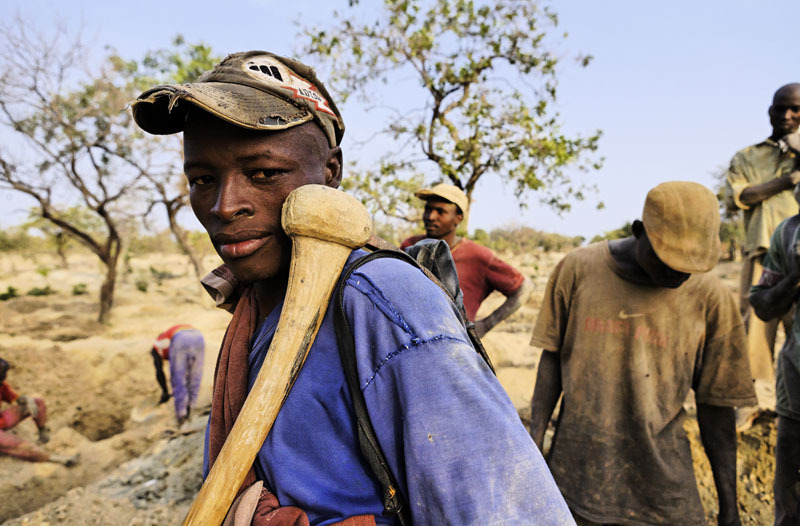 In Africa, men and women, sometimes children are working in extremely difficult conditions, in search of minerals, such as stones or precious metals. These products should be able to enrich, but they remain poor. An unprofitable business as employing a large workforce, insufficient production in the absence of mechanization and unfair marketing network, partly explains this state of affairs. 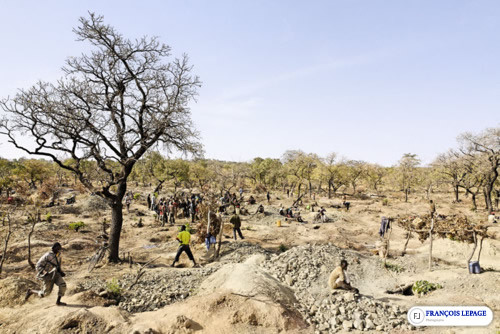 The conventional bank financing in the artisanal mining sector does not exist, add it to the cooperative for the most part unable to find partners outside the country. 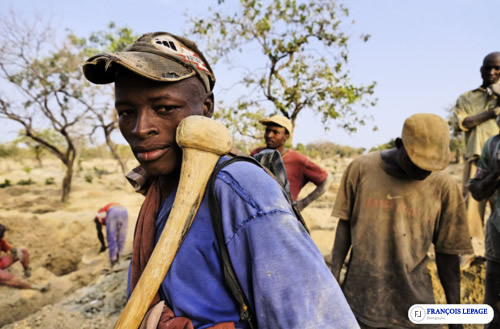 Artisanal mining, little known activity, see resented in Europe (as seen as environmentally unfriendly, and sometimes at the expense of performing an essential activity such as agriculture), is yet millions of families live. That is why our experiences and strengths of our social networks, which have enabled us to meet the artisans, listen, understand their expectations and define their needs. We wanted to create the association IPRAM to help the artisans of the Republic of Central Africa. PS : We thank the photographer François Lepage for his kind permission to use the images of his report on the Kola Gold Mine, to illustrate our website.